Why You Should Wear a Surgical Face Mask? Do you wear a surgical mask? It can help you a lot in preventing various diseases! In recent years, the number of people wearing masks is increasing, and pharmacies are dealing with high volume of surgical mask sales. 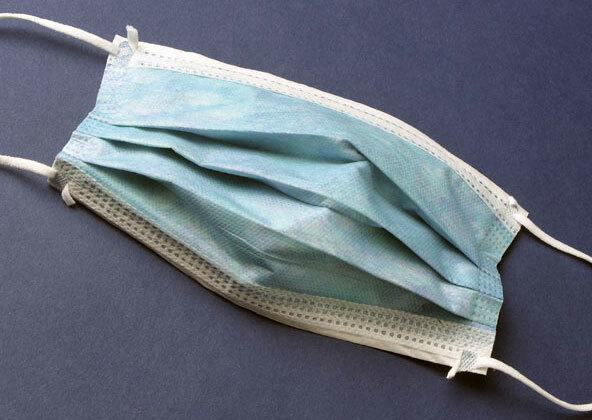 There are face masks that are marked to have germ filtration rates of 99%. Of course, we believe and expect that this is true. According to many drugstores, people use it to prevent inhaling cold and flu virus as well as other viruses. The question in particular is: How much can you prevent viral infections just by using a mask? 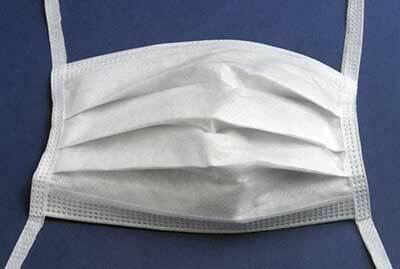 Scientific studies done for these disposable face masks sold at drugstores show that wearing them gives you practically 0% protection from breathing airborne microbes, unless a medicated filter is used for the mask! If that is so, then what's the use of wearing surgical face masks? You can find the answer in our article dated December 21, 2008, "How to Protect Yourself from the Influenza A virus subtype H5N1". From this simple clinical survey, we have learned a lot of medical results. Amazingly, our surveillance CCTV camera showed only volunteers who had "magic hand", which was narrated by traditional healers, came back with flu symptoms. What is that magic hand? It is those who touch their noses with their fingers as seen in the illustrations below. Many people usually and habitually touch their nose with their hands or fingers. From this test, we can think that the influenza virus rarely transmits through inhalation. For sure, you understood what you have to do to avoid contracting various viral infections. 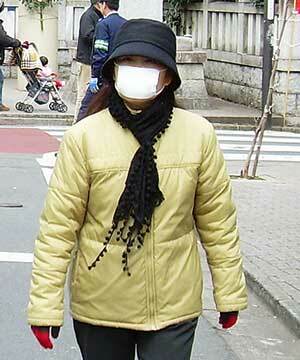 Another simple preventive measure is to wear a medical face mask whenever you go out. Notice that in this way, you are prevented from playing your nose with your fingers. To prevent contamination from your fingers. By wearing mask, you hinder your unconscious dirty finger from touching your nose or mouth. 2. To prevent the spread of infection. Wearing surgical masks helps prevent you from infecting others or spreading the infection to the public. 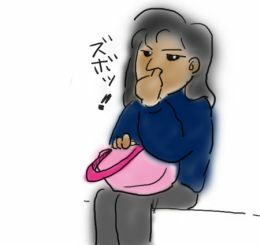 This is a common practice in Japan and also in other Asian countries like in some parts of China and Korea, for people who are sick. 3. Because of allergies. Wearing mask because of an allergy is not as common as wearing it because of illness. 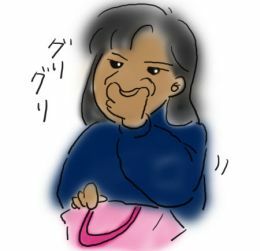 Nevertheless, it helps prevent some kinds of allergies, like pollen allergy. 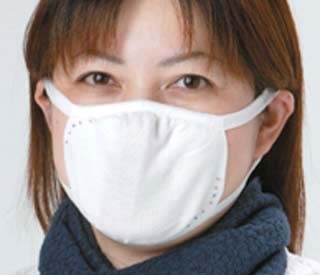 One notable example is during hay fever season in Japan where wearing masks are commonplace. Remember, surgical masks are worn to protect others, not to protect the wearer, which is a common misconception. You do this as a courtesy to prevent spreading your own infection to others. That is why surgical masks are used by surgeons to prevent germs from their mouth and nose from entering their patient's body. 1. "Secret Way to Make Your Body Immune from Cold and Flu"
2. "Minimizing the Risk of Getting Flu"